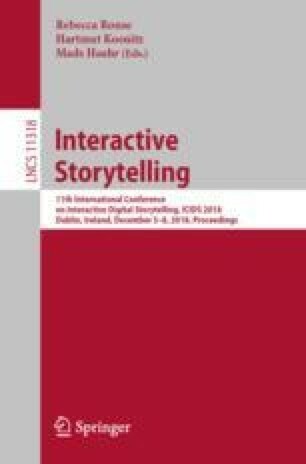 This paper describes a demo of a Virtual Reality simulation of an interactable news service for Augmented Reality. The aim of the prototype is to implement it for user testing of new forms of news-interaction, leaving the small screen of mobile applications and entering into a ‘virtual’ world instead. This system can potentially be used for subjects other than news interactions and would be suitable as a test-platform for other kinds of AR-based digital storytelling. An advantage for a VR simulation is that current AR technology in the form of AR headsets/glasses are still in technical infancy, and therefore they are quite limited, both when it comes to field of view and for handling dynamic outdoor environments.